Sometimes it is not a matter of whether or not the glass is half empty or half full. Sometimes you just need a different glass. At least, that is the way Patricia Bliss sees it. Bliss assumed leadership as principal of Rome Catholic School last fall. Bliss’ career history traces her years spent as a classroom teacher in 6th, 7th and 8th grade math and technology through times when she served as vice principal and principal. She has been an educator in both New York State and New Jersey, earning the Outstanding Educator Award in 1994 from the Archdiocese of Newark. Currently a resident of Cooperstown, NY, Bliss spent part of her career in the Cooperstown and Oneonta areas in both Catholic and public schools. But no matter where her career took her, she has followed the changes in Central New York’s Catholic education. Bliss came to Rome Catholic (RCS) knowing full well the challenges that she would face. This is the first year that junior and senior high school level education is not offered in the building. However, the school continues to thrive with students in pre-school through 6th grade. Today there are 120 students in the North Rome building, including busy pre-school and pre-kindergarten classes. The legacy of RCS’ technology program continues with a strong robotics program and SmartBoards in nearly all of the classrooms. Bliss is working to make iPad technology available to RCS students in the near future. This year, Spanish was added to the curriculum for kindergarten through 6th grade with plans to introduce the language to the pre-K class later this year. The territory Bliss encountered in Rome was not completely foreign to her. With 31 years in Catholic education, Bliss has experienced her fair share of mergers and closures and has seen it from all perspectives. 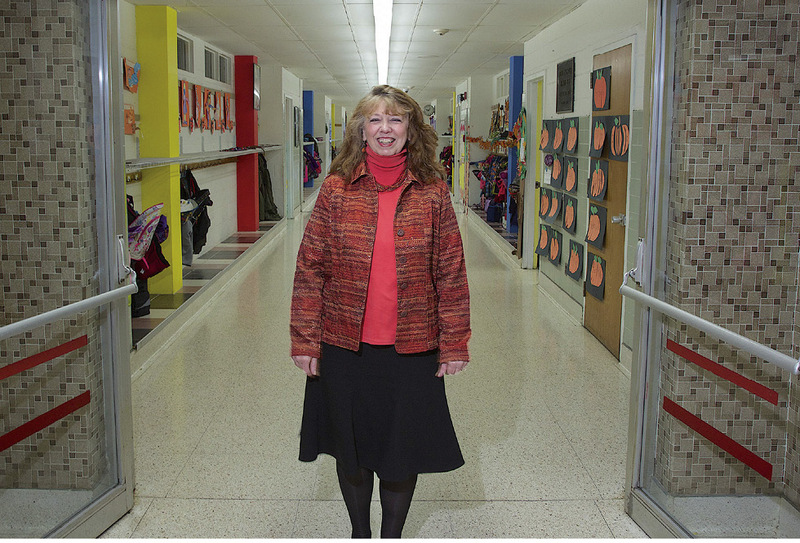 “I’ve been involved, both as a teacher and as a principal, in schools that merged. I’ve seen it from both sides in a school that closed and in one that received students from another closed school,” she said. Bliss said everyone is living and adjusting to a changing world that looks very different than it did decades ago when every parish had its own school. “In my mind, it’s all fluid,” she said. These kinds of challenges, Bliss described, are not reasons to give up but rather to look at things differently. In any given situation, she said, you do the best you can. “Sometimes we have to make the best decision we can at that particular time. If it turns out it wasn’t the best decision, we adjust,” she added. “Things grow more complicated when there is a lack of trust,” she said, “It’s when people don’t have trust that the anger comes in.” Mindful of this concern while strengthening the elementary school, she is keenly aware and sensitive to the sadness in Rome with the loss of the junior/senior high classes.